There are many fun facets to making Cherries Jubilee. It sounds and looks fancy, but doesn’t take more than 30 minutes. You get to start a fire and impress your friends with your flambé skills. 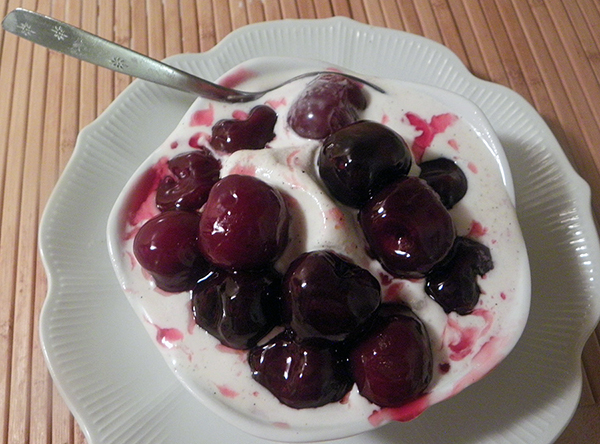 The recipe is historical, supposedly created by August Escoffier for Queen Victoria’s Golden Jubilee (1887), in honor of the queen’s well known love of cherries. And it’s served over ice cream, always a plus. 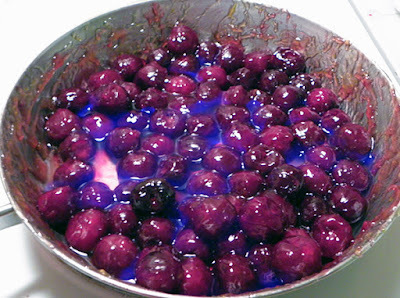 But my favorite thing about cherries jubilee is that, unlike other cherry desserts, the cherries don’t need to be pitted. Liberation from a thankless and staining task! The right amount of rain at the right time made 2017 a bumper crop year for cherries. California stocks were burgeoning late into the season in June. In July, I visited Washington, where cheap organic cherries were everywhere, from grocery stores to farmers’ markets. We enjoyed bag after bag, perfect not only as motel snacks, but also as trail food in the Olympic National Park. Even on the airplane, they provided tasty sustenance. Though cherry season is typically short, Washingtonian cherries are widely available in California throughout July this year. In my recipe, I substituted kirschwasser for the usual brandy, because I had some on hand. Kirschwasser is a clear brandy distilled from cherries, with a slightly higher proof than most brandies. Feel free to use whatever kind of brandy you have around, or try golden rum. Enjoy! Note: the essence of this dessert is that the brandy is set on fire. Alcohol flames can rise quickly and expand outside of the pan, since it’s a vapor that is burning. Be sure that to remove any flammable materials from the general vicinity before setting fire to your creation. Stir together sugar and cornstarch in wide skillet or saucepan. Stir in orange juice and water. Bring to boil over medium high heat, whisking the mixture constantly until thickened and glossy. 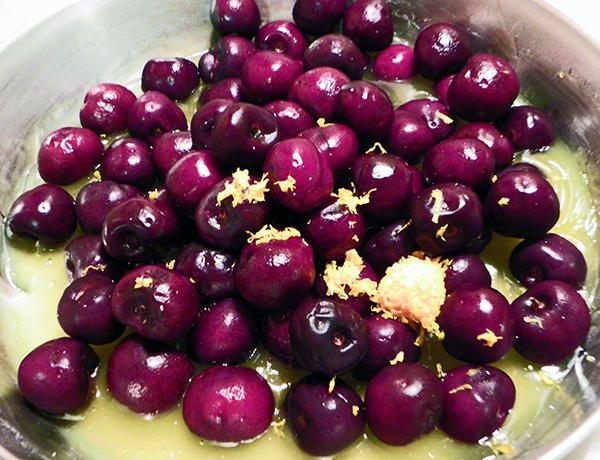 Add cherries and orange rind to pan and return to boil, stirring frequently. 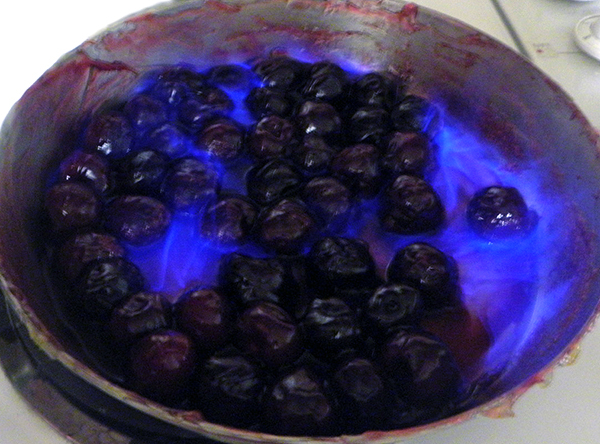 Reduce heat to medium low and simmer cherries, stirring occasionally, for about 10 minutes, or until soft and uniform in color. 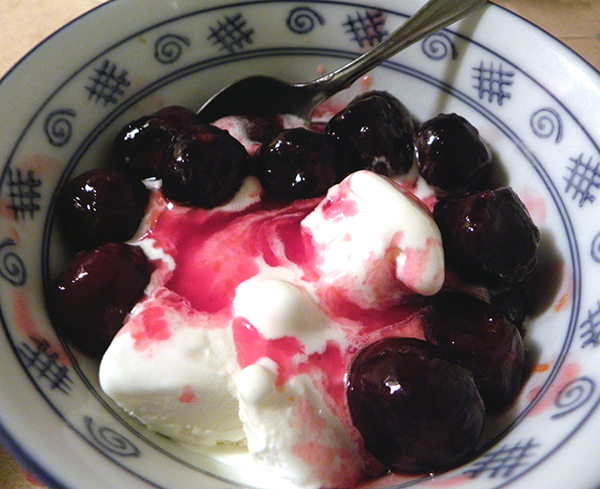 While cherries are simmering, scoop ice cream into dishes and chill in freezer. Heat brandy for 30 seconds in the microwave, or until slightly warm to the touch. 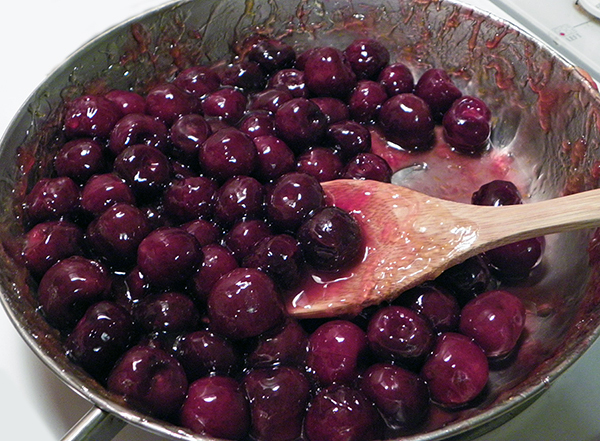 Remove cherries from heat and stir in vanilla extract. Pour in warm brandy. Ignite with long-handled lighter. Gently shake pan around until flames extinguish. 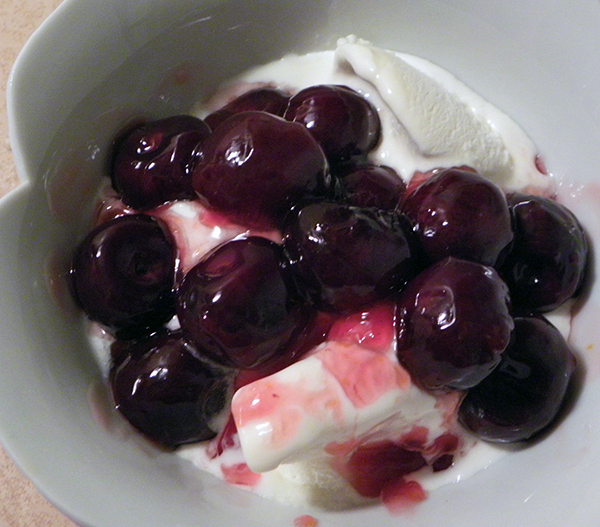 Remove ice cream bowls from freezer and top with the brandied cherries and sauce. Delicious Cherries Jubilee = Instant Celebration!